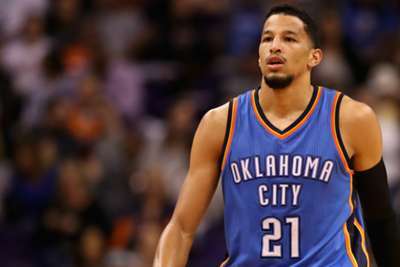 Oklahoma City Thunder guard Andre Roberson has suffered a setback in his rehabilitation from left knee surgery. The 26-year-old ruptured his patella tendon in late January and missed the rest of the 2017-18 season, but he had reportedly been set for a November return. However, Roberson was feeling irritation from a suture and the team have confirmed that he has required a second minor procedure. The Thunder plan to re-evaluate Roberson in early December. The sixth-year player has spent his entire career in Oklahoma City. He averaged 5.0 points and 4.7 rebounds in 39 games in 2017-18.